I’ve currently got a major and a minor side project. My major side project is The Leading Strand, an initiative to leverage the power of design to celebrate basic scientific research. 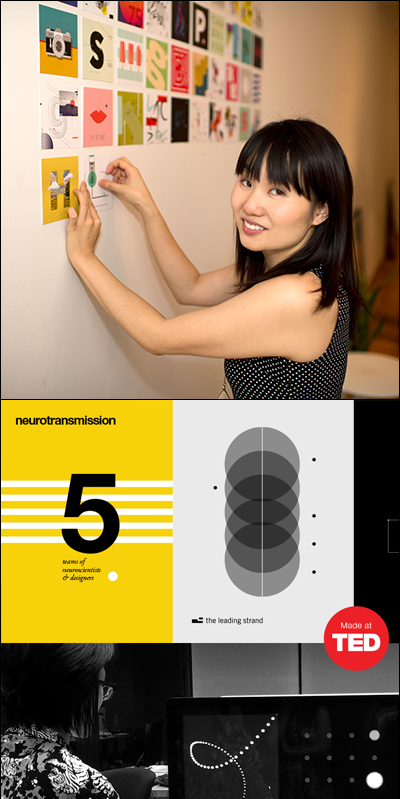 In our first cohort, we’ve got 5 cutting-edge neuroscientists collaborating with 5 world-class designers. Their work will be on display at Pratt Institute in New York City, July 13–18, 2016. You can get a ticket to opening night. My minor side project is Creative Habit. Every day, I spend up to one hour creating an original illustration or collage (below) and post it to my Instagram feed: @alonglastname. It started out as an exercise in efficiency, a way to train my ability to design under pressure but has taken a life of it’s own. I’m about to reach one year/365 individual illustrations. I think I’ll make a book out of them. So my day job is being an Art Director at a design agency called Primacy. In April, I was accepted into the TED’s first-ever Residency program for The Leading Strand, and I was able to work something out with my manager—so I’m technically on semi-sabbatical at Primacy, while I work on The Leading Strand. I’m still expected to be putting around 25 hours a week into Primacy, and that basically means I’m working 60, 70-hour weeks right now. But since this is only a 3-month program, it’s something I’m pushing through, and it’s such a great ride. In many ways, doing Creative Habit has trained me to come up with new ideas under pressure and execute creative work under a short time frame. That’s set me up to be successful juggling both Primacy and The Leading Strand. I think side projects are really important for developing your skills and getting experiences that you otherwise wouldn’t be able to have. Enjoyment is also a big part of it. Einstein said, “Play is the highest form of research.” And I truly believe that. 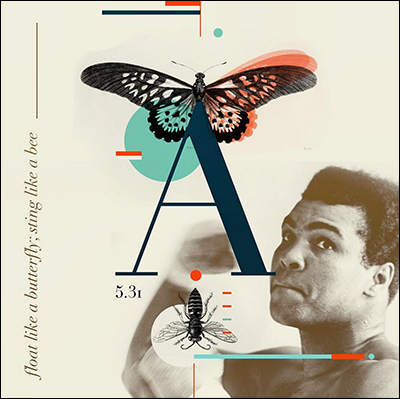 With Creative Habit, I’ve been able to experiment with new visual styles and techniques that I wouldn’t have had time to explore in my deadline-heavy agency job. With The Leading Strand, I’m learning about project management, fundraising and getting media coverage for my work. And I get to see these amazing collaborations come to life, while I help my teams to their best work. I’m such a big believer in side projects that I actually run an online bootcamp called Ship Your Side Project that helps mid-career technology professionals launch the ideas they’ve been cooking up on the side. We’re running another session in the fall of 2016. Diptych courtesy of Amanda Phingbodhipakkiya.